One of the most important aspects of creating effective online content is making sure that your desired audience is able to find it. Choosing the right SEO keywords is essential in making your articles easy to find online. Without the proper keywords, it is difficult for your article to get views. When you’re looking to expand your audience, our experienced SEO professionals at Performance First Marketing can help. Determining how to find the best keywords can prove challenging. This is where Performance First Marketing can come help. Our Search engine optimization experts know how to draw your target audience to your content. Our team can look at your content and determine what keywords would have the biggest impact with the least amount of effort. Having a clear definition of your site’s purpose is essential in order to accomplish this to ensure we highlight both the general theme of your site and the specific topic of each article. Contact us today to see how we can improve your traffic. What is an SEO Keyword? An SEO keyword is a word or phrase that is used in your content in order to draw up the desired search engine results. Integrating keywords into your copy is an essential part of successful article writing. Keywords provide vital insight into the topic of your article, which is critical in creating interest in your work. Searcher’s type keywords in their search engines in order to find content related to what they’re interested in. The ultimate goal is for your SEO keywords to direct your intended audience to your site. Researching popular keywords gives valuable insight into what consumers are looking for. This is helpful in determining what keywords will attract your intended audience. 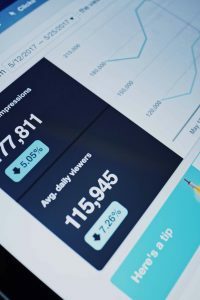 Performance First is well-versed in this type of data analysis and has the capability of helping you assess how you can best drive traffic towards your site. While it is necessary to have a variety of keywords relating to your content, it is also important to include an SEO focus keyword. This reflects the main topic of your blog and serves as the main search keyword. This word should appear several times throughout your copy in order to ensure that your subject matter is clear. Long tail keywords are key phrases that contain multiple words, making them more specific. These types of keywords are most effective in defining your topic and making your content easily accessible through a search engine. Due to the amount of competition in the blogging world, niche blogging is essential. The more focused and tailored to a specific group of people your content is the more likely you are to succeed. Content that is more general and tries to appeal to everyone tends not to do as well. Since keywords help define what makes your content unique, it is beneficial to us keywords that detail the precise theme or topic of your article. This is why it is extremely critical to have a strong understanding of who your audience is and what they are looking for. This knowledge necessary for generating long tail keywords that are descriptive and help your specified audience find your content. Do you need assistance with integrating SEO keywords into your copy? Contact us at (818) 949-2618 or online to discuss the best ways to improve your blog’s searchability.